From pub to hub to home - but where next for Sony's strange service? For many PlayStation 3 owners, their relationship with Home has been brief. They fired up the virtual world platform around the time of its public launch in late 2008, noticed a general lack of things to do, and went back to playing LittleBigPlanet. Many never returned. For these people, Home has been little more than a XMB icon that they can't get rid of. It's easy to forget that PlayStation Home was once a source of considerable industry excitement. Phil Harrison - then the head of Sony's Worldwide Studios - unveiled the platform at GDC 2007 to an enthusiastic crowd, demonstrating gaming, social, and media features unlike anything that had gone before. 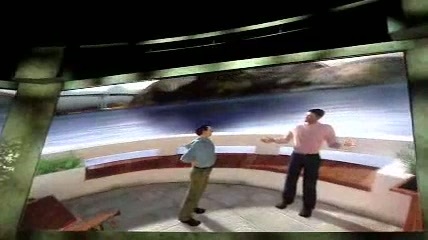 Users would be able to share their music and video with others via the hi-fi and TV systems in their virtual apartments; a Hall of Fame would enable PS3 owners to showcase 3D trophies in curated virtual trophy rooms; and a game launching system would let groups of players hop seamlessly from any Home space into a multiplayer session of their favourite game. But Home's origins go back further than the 2007 Game Developers Conference. It began life back in the early 2000's, when development of The Getaway: Black Monday was underway at SCE's London Studio. The planned multiplayer component for this PS2 exclusive was ambitious, to say the least. "The idea was that you would come into a pub, a typical east-end pub, and meet up with a group of other likely fellows to decide on quests that you were going to go on, and go off with these people and complete those quests," explains Peter Edward, the senior director for PlayStation Home globally. "Although that project didn't happen, it was clear that there were some legs in the idea of this sort of hub to meet other gamers. And that's where the idea for the Hub came from, which was the original name for what turned into the Home project." "Everyone thought it was a bit like Second Life. That was the easiest comparison to make, but it wasn't given a reason to exist commercially. It didn't have any marketing budget behind it, it didn't have any commercial structure behind it." It's at this point that Phil Harrison became involved in the project, transforming the Hub from an idea without a home to a source of significant investment. Various sources describe the nascent PlayStation Home as Harrison's 'pet project' during this time, and one that apparently received millions of pounds of investment without having to justify its existence on a commercial basis. "Having that high level of support and vision for the project certainly helped turn it into something," Peter Edward reflects. "I guess what was really useful is that it was seen as a project that was just good for PlayStation to be doing. So the business side of things, back in those days at least, wasn't that much of a priority. It didn't have to justify itself on the basis of revenue back then, and it was regarded very much as a sort of halo project, a distinguisher for PS3, and a way of showing how PlayStation Network could add something to the gamers' experience." This couldn't last, of course, and by the time of Sony's 2007 GDC keynote, people such as Daniel Hill had been brought in to hammer out the business rationale for PlayStation Home. "It was completely owned by the tech side of the business," Hill explains, recollecting his time as the regional business manager for PlayStation Home in Europe. "No-one in the rest of the business really understood what this thing was that was being developed over in Great Marlborough Street. "Everyone thought it was a bit like Second Life. That was the easiest comparison to make, but it wasn't given a reason to exist commercially. It didn't have any marketing budget behind it, it didn't have any commercial structure behind it, which was part of the reason I was brought on board - certainly in Europe, anyway - to try and give it a reason for being. No-one knew what to do with it, but the business finally realised it had better start trying to recoup some of the investment that they'd made, which was sizeable." It was the involvement of Hill and others like him that enabled Harrison to come to GDC 2007 with some idea of how Home would function as a commercial proposition. Home was to be a place for publishers to showcase their wares, for well-known brands to engage with PlayStation 3 users, and for developers to serve up unique gaming experiences. It was to be a free-to-play platform powered by microtransactions - a bold proposal at the time, given that Apple's App Store was still more than a year out from launch at this point. What's more, this strategy meant that the success of Home rested not only on consumer interest, but participation from brands, developers, and publishers too. 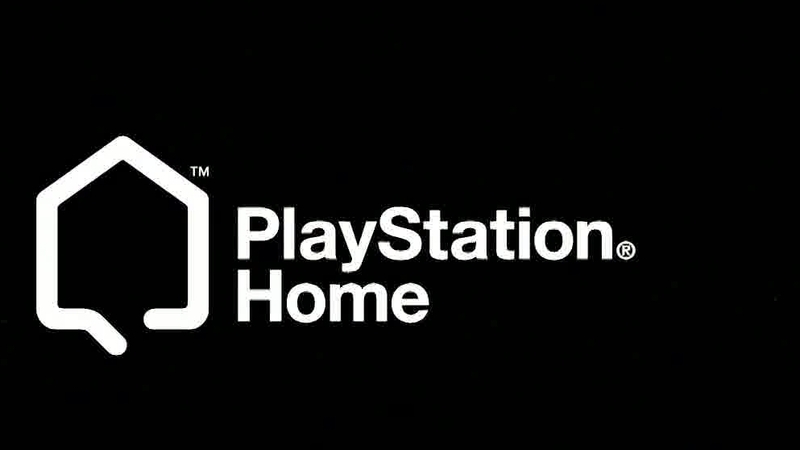 Months of active development time passed, but despite the best efforts of Sony and Peter Edward's Home Platform Group, PlayStation Home missed its Autumn 2007 release date, prompting SCE president Kaz Hirai to promise that the service would launch in the following Spring instead. What was arguably more damaging for Home, however, was when Phil Harrison left Sony Computer Entertainment in February 2008. "With Phil Harrison leaving it lost momentum, and the management team at SCE certainly didn't seem to understand where it could go," Hill says. "There was no-one internally to champion it anymore. "So it suddenly changed hands, and went from being this amorphous big platform lump over here to actually having a reason for being and having profit and loss accountability. We had to account for where all this money was being ploughed into. After Phil left, there was no-one to champion that up the chain, and because it had gone from being a tech initiative to now a commercial issue, the guys at the top of the commercial tree just didn't seem to understand what it was and didn't seem that keen to promote it. "It almost seemed at times as if they were consciously trying to distance themselves from this thing. These were boxed product guys who felt threatened by anything digital. Even PlayStation Network freaked them out." Home director Peter Edward views Harrison's departure slightly differently, though. "It was certainly a turning point, yes, but I'm not sure I would necessarily say it was a setback," Edward explains. "I think during the Phil Harrison stage, the vision for Home was kind of a technical showcase of what could be done in an online environment, but that wasn't necessarily what people would actually want to do with it. "I think the turning point that we got to when Phil left was that, yeah, we lost our high-level champion, which did introduce challenges of its own." "I think the turning point that we got to when Phil left was that, yeah, we lost our high-level champion, which did introduce challenges of its own. But at the same time it caused us to have a fairly major rethink about what the aim of the platform was, and we came to the conclusion that, rather than being just a technical showcase, what we needed to provide was an online gaming platform for gamers." Whether you view it as a setback or turning point, Harrison was out of the picture, and it became clear that the Home project needed someone to act as its internal champion, as well as a liaison for the various tech and marketing teams working on the platform. It was decided that the man for the job was Oscar Clark, who served as 'Home architect' from April 2008 - 2011. At this point, Home was already six months late, and the scheduled release date of Spring 2008 was fast approaching. Naturally, Clark's first order of business in his new role was to sit down and evaluate the current state of the project. "They were going for launch, and basically they didn't have a product, as far as I was concerned," Clark recalls. "There were some fundamental pieces that just didn't work as an idea." Kaz Hirai issued another announcement, and Home was pushed back again - this time to Autumn 2008. "We understand that we are asking PS3 and prospective PS3 users to wait a bit longer," Hirai said at the time, "but we have come to the conclusion that we need more time to refine the service to ensure a more focused gaming entertainment experience than what it is today." Over the next few months, Oscar Clark, Peter Edward, and the Home Platform Group knuckled down in order to bring Home up to scratch for ever-larger batches of closed beta testing. At the same time, the team began its efforts to involve publishers and brands. "Brand partnerships were most of my focus," Daniel Hill explains, and a deal with Red Bull represented an early victory for both Hill's team and PlayStation Home. "We showed Red Bull what Home was and what the potential was for people to interact with their brand and with each other. They kind of got it straight away. They immediately ploughed quite a lot of cash and resources into helping us build the Red Bull island, for instance, and an ongoing, evolving calendar of content over the next two or three years as well." Hill describes this partnership and others like it as "multi-million dollar content deals". But while big brands were ready to give Home a chance, it seems as though game publishers weren't nearly so keen. "If you walked into Activision or THQ as they were, and all the other big boys too, they didn't see the value of spending marketing money in Home when that meant that it was taking away money from spending on a FIFA advertising campaign on television at 8 o'clock in the evening," Hill says. "They just didn't get the fact that it could be targeted, that it could be efficient, and it could be a good use of resource and it was." In Phil Harrison's onstage demonstrations of Home, he would get Casino Royale playing on a Bravia TV before chucking it down the stairs to show off the physics system. As a result, PlayStation Home wasn't bursting at the seams with content and publisher presence at launch, and gamers who'd followed the project from the time of its optimistic GDC unveiling were understandably underwhelmed by the state of Sony's virtual world. There was no sign of the media sharing features - these fell victim to rights issues. Multiplayer game launching had to be implemented by developers on a game-by-game basis, and was therefore present for only a small selection of titles. And the individual Halls of Fame filled with 3D trophies were nowhere to be seen either. "This is the big learning curve for anyone who wants to do a platform," explains Oscar Clark. "Developers, particularly first party developers, will resent having to use your tools when they have other things on their agenda. The trophy room is a perfect example. The idea was that we'd give away 3D objects within Home to represent the trophies that you'd got on your PlayStation account. But that meant that the game developers had to get their artists - who were already over-busy - to create 3D models specifically for Home for every trophy they produced. "We had the wrong psychology. We made the assumption that we would be so compelling that everyone would want to do this. But the reality is that other people had too much work to do. Even if they come around to the idea of this being good, how do we make it easy for them to do? And that's why you never saw a trophy room." Some were disappointed by the broken promises. Others were just bewildered by Home, unsure of exactly what this much-hyped, oft-delayed platform was. "It was always a struggle trying to get across to people exactly what we thought Home was," explains Dan Hill "We never really had the resource to actively push that message forward towards our customers. The consequence of that is that lots of people made their own minds up about it." These people were inevitably confused when confronted with a playable product that didn't match their expectations. In spite of this, there's no denying that PlayStation Home became a regular port of call for many PS3 users, as well as an extremely profitable platform for the gaggle of independent developers that produce content for the platform. One such studio is Hampshire-based developer nDreams, which generates seven-figure revenues from Home annually and which CEO Patrick O'Luanaigh describes as "the largest global publisher in Home." But while it's clear that Home has provided a platform that can be profitable for developers, it's less clear whether Sony itself has turned a profit on Home. Hill suspects not. "The money that we brought in through microtransactions and business development and partnerships - we were profitable on that basis. But the development costs almost always got siphoned off behind the scenes somewhere else." "what I can say is that over the years of running Home, we've realised that some aspects of it work really well. Some aspects don't work as well." Peter Edward claims that the platform hosts significantly higher conversion rates than those seen on Facebook or mobile gaming. In other words, a higher proportion of Home players stump up cash. Peter Edward is responsible for the direction of PlayStation Home worldwide, as well as its profit and loss, so if anyone can tell us whether the platform has been profitable, it's him. "Home is profitable," he begins. "But, over the lifetime of Home, that's a different story. Because obviously Home has been going for a very long time and the cost of setting it up in the first place was pretty high. So the profit and loss looks very different now to what it did back in the early days when our focus was on producing something cool and not necessarily getting revenue from it, and also we were still learning the ropes as far as running the platform is concerned, and producing the SDK." So, given the uncertainty over Home's impact on Sony's bottom line, it's little wonder that the future of the platform itself seems uncertain too. Both Oscar Clark and Daniel Hill say that they don't expect the service to make the transition to PlayStation 4. "My suspicion is that it will probably still have some kind of a life on PS3, but eventually be sunsetted in 2 or 3 years time," Hill explains. Once again, Peter Edward is the man in the know, but in this case he's also the man who can't say. "As far as PS4 is concerned, I'm not in a position to make any comments on that," Edward tells us. "Home continues to develop and thrive on PlayStation 3. We're still innovating on the platform, we're still putting new features out there. And our developers are working hard to continue producing content for users so there's still lots of interesting stuff for them to do." We end with a hypothetical, asking Edward what he personally would like to see from a future iteration of PlayStation 4, regardless of whether or not it's likely to happen. "I'm going to half answer your question," he replies, "partly because to answer it would I think be too revealing, but also because I'm just conscious that any answer I give won't be taken as my personal view - it'll be taken as the view of the guy who runs Home on PlayStation. But, what I can say is that over the years of running Home, we've realised that some aspects of it work really well. Some aspects don't work as well," Edward says, cards close to his chest. "And some aspects of it we would certainly do differently if we had the chance to do it again."